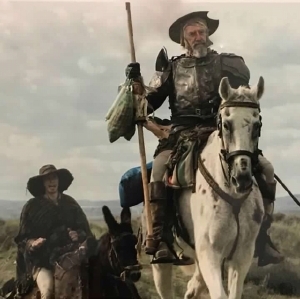 Terry Gilliam has been trying to make The Man Who Killed Don Quixote for so many years the film has become cinema legend before it's even premiered. These kinds of passion projects come with a lot of baggage so I hope Gilliam is able to put what he always wanted on screen. The second trailer for his film has premiered and it looks like everything a Gilliam fan might expect. It's lavish and carnivalesque and delirious and wonderful.